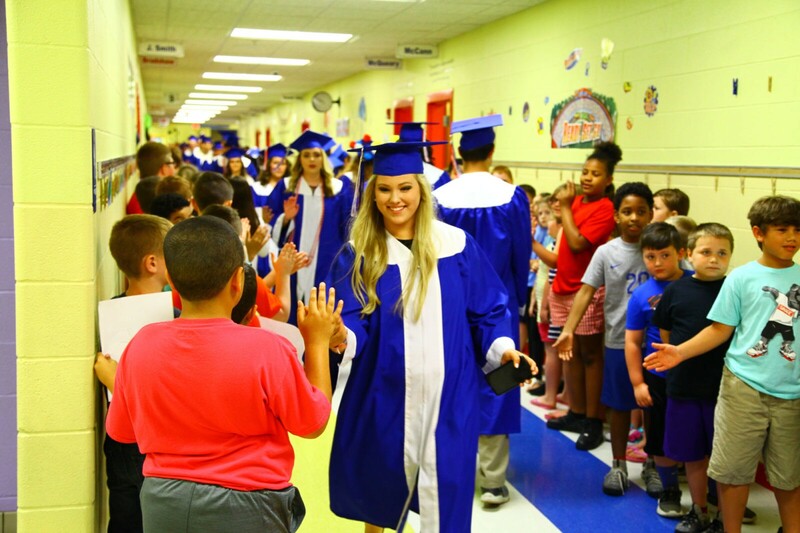 Senior Emily Taylor couldn’t believe the ovation she and the senior class received as they completed the senior walk through at Adair County Elementary School. 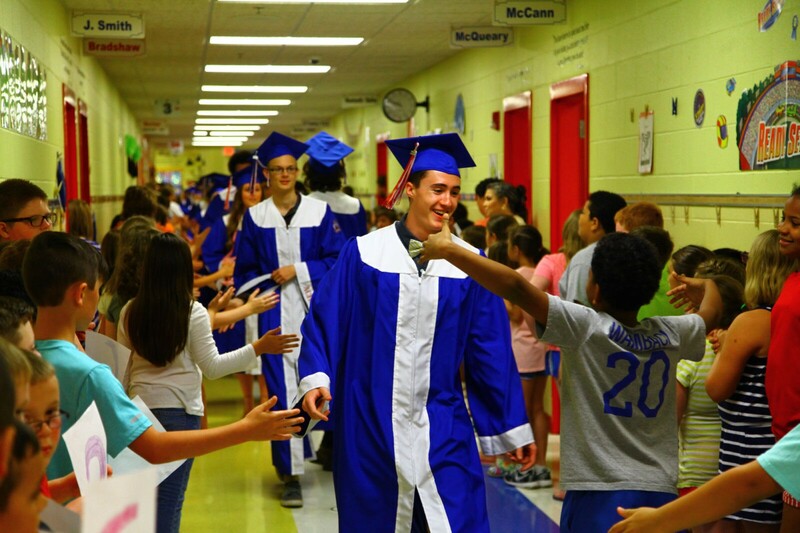 Senior Dylan Hale was excited to hug his friend and 3rd grader at ACES, Dshawn Fugate, during Senior Walk Through on Tuesday. 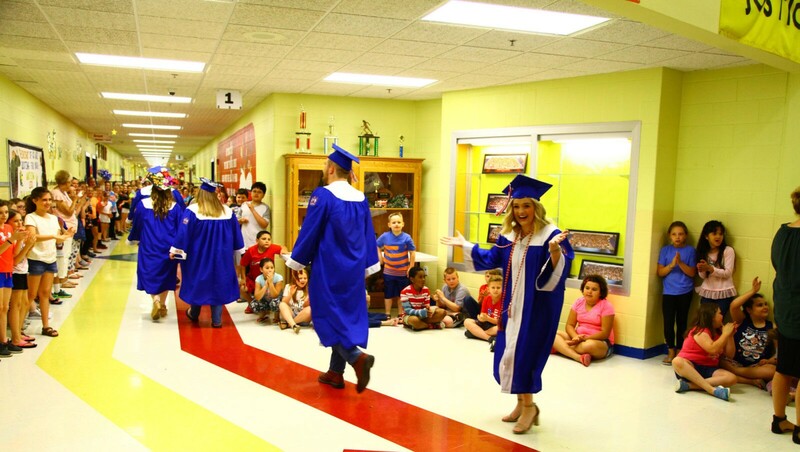 Senior Alayna Willis was all smiles on Tuesday during the Senior Walk Through at Adair County Elementary School. 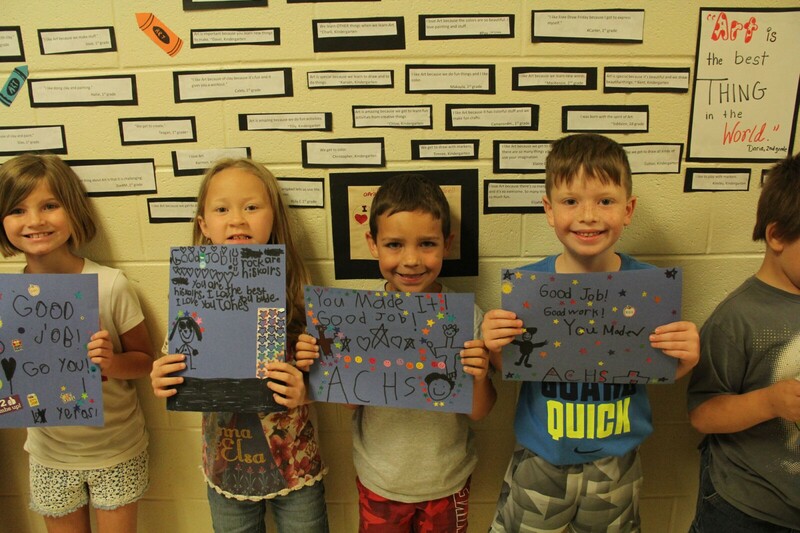 Left to right: ACPC students Aubrey Edwards, Kaylee Jones, Branson Minton, and Carson Coomer hold congratulatory signs they made for the ACHS graduates during the campus walk through.